I recently discussed your options and what to do if someone steals your content. Now, let’s look at how to find out if someone has stolen your content. There are various ways to find copyright infringements of your photographs and writings. Currently, there isn’t just one source, so check through these different services on a regular schedule like once a month or every three months to see if anyone may be stealing your content. Google Alerts: Google offers Google Alerts, emailed reports of any web pages in its database that match your search terms. 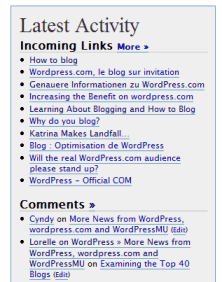 You could set up an alert for your blog name, like mine, Lorelle on WordPress, or a unique phrase that matches your blog’s content and most comment search terms. 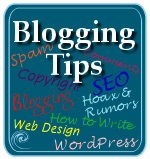 On my blog, “blogging tips” and “wordpress tips” are frequent terms I use. Combined with “lorelle blogging tips” and “lorelle wordpress”, and other combinations, Google sends an email with a list of web pages with those keywords right to your inbox. Check through and see if any of these are abusing your content, or talking about you, the nicer part of getting these Alerts. Check Trackback and Incoming Links: When possible, include full links to articles on your site referenced in the material. For example, I’ve mentioned my article on what to do if someone steals your content, and if this article is used, this link will create a trackback to that article, which will appear in my WordPress Administration Panels’ Dashboard and in my Comments Panel as a trackback. I can check out the citing article, and if they are using my content within my copyright policy, then it’s fine. If not, and they are violating my copyrights, the next step in response can be taken. I find most of my content theft within the trackbacks. Use Copyright Defense WordPress Plugins: There are a variety of WordPress Plugins which will add copyright statements and warnings to your WordPress feeds, and others which will insert a “digital fingerprint”, a unique bit of text or code that can easily be searched for, identifying illegal use of your content. You can read more about these in WordPress Plugins Battling Evil, AntiLeech Splog Stopper: Fighting Back Against Content Thieves, and Digital Fingerprints Help Track Blog Content Theft. Search Copyscape: Copyscape will match the content of the URL of your post or article with search engines information to find a match. For the most part, it is very accurate and helpful in finding your work on other sites, though it has lagged behind in having its database updated. Search Google Images: When you type in a keyword search on Google, a menu at the top appears offering you alternative sources for your search results. One is Google Images. Put in common or unique search terms within the Image search to see if others may be using your images on their their site, and possibly your content, too. Search Search Engines: While the long way to do it, you can search Google, Yahoo, MSN, and other search engines and tag services for keywords and phrases unique to your content. Match the results against your original content to see if they have indeed copied your content or stolen your material. Search Find Articles: Find Articles is a free (and paid) service that looks up articles going back to 1984 that have been published in magazines that make money on the sale and distribution of articles they have published. Depending upon the contract signed by the author, magazines have the right to sell reprints of their articles without compensation to the author. You might find some of your work there, or a clue as to how your content has been abused. This site is limited only to articles available for sale and reprint, not any article on the web. Check Server Logs: Check your server and site logs. Do you suddenly have a spike in the bandwidth numbers for Hosts or referrers? Are there any distinctive or dramatic shifts in any of the statistics? These could be a sign of illegal activity related or unrelated to content theft, but you need to learn how to read your server logs and to understand what the numbers may mean to detect abuse on your site. My article, What To Do If Someone Steals Your Content, covers the step-by-step process of how to respond to content theft. Contact the blogger through the blog comments or contact form on their blog advising them to reduce the copyright violation content to an excerpt in compliance with Fair Use, or to remove the content. If you are unable to leave a comment, check the domain name’s WHOIS file for an email contact or snail mail address and contact them that way. Send a second notice if there is no compliance. If no response, contact the host server. If no response, contact the search engines. If no response, contact their advertisers. At any point in this process, it will stop. Have confidence. Rarely does it go any further. However, there are things you should NOT do. 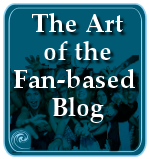 Do Not Blog About It: Blogging about the content violation will give you the glory of having that post on their blog, but they aren’t reading their blog. They are stealing from 2-1000 different blogs, often posting 5 to 200 posts a day. They don’t care what content is there, they just want the content for generating the money. So you have only wasted your time. Do Not Seek Revenge: Do not get a site hacked or defaced in any way in protest of their activities. This could come back to you and cause greater penalties against you, including arrest for defacing property. The copyright violation could turn into a cyber crime. If You Blog About It, Do It To Help Others: If you are finding that your blog is not the only one being ripped off, let the other bloggers know about it quietly. 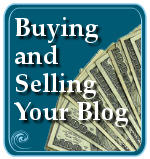 If there are many bloggers being ripped off, then let them know publicly, but do so in a forum that will get the most publicity. Remember, you do not want to publicize the splogger, so make links to their blogs NOT active links but text links, but you do want to help others know and know the actions to take to defend their rights. Do Not Spread Myths: Many believe two things that hurt our rights to fight back against content thieves. 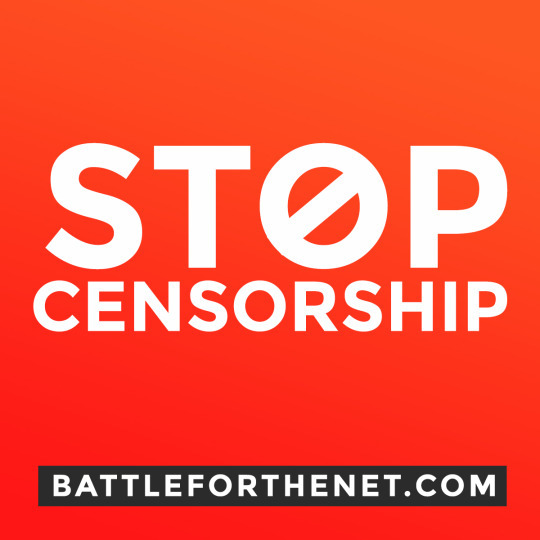 The beliefs that 1) There is nothing you do to stop it; and 2) If it’s on the Internet, it’s free. These are false. There is always something you can do to stop it, and prevent it. And if it’s on the Internet, assume it’s copyrighted. Ask first. You might get a yes. A few weeks ago, I stumbled across three exact copies of articles I wrote and was furious that my content had been stolen again. I wrote up an email, and just as I was about to sign it, something clicked in the back of my brain. The website owner’s name was familiar, though the site address was not. I opened my desk drawer and pulled out a thick folder. I flipped through thirteen years of notes and lists to find that I had indeed given permission to this website owner, though not at this new URL address. I changed the email to a friendly “hello” and thanks for continuing to publish my material on his website, though I would have appreciated a note about his domain change. He sent me back a delightful email filled with thanks and apologizes for the oversight. I’m often asked to reprint or republish my articles on other websites. I get so many requests, it’s hard to keep track. This is my job, so keeping track of articles and photographs off my site is hard work. With such volume, a long time ago I started a list of reprint permissions to help me remember. On my permission list, I include the date of the permission, URL, site author or administrator, title and info of the post reprinted, and notes on why I gave permission. I also include a copy of the requesting email. I also do a lot of rewrites on old content for different ezines, websites, and blogs, and this I also document. While I may have edited or customized the content for the publication’s needs, it is still my original content and I need to remember what I did when to protect myself from slamming an innocent party. Remember, not all content thieves do this on purpose. Document your reprint and rewrite permissions to help you keep track. 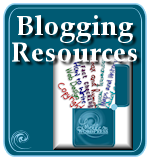 This entry was written by Lorelle VanFossen and posted on April 11, 2006 at 3:15 am and filed under blogging tips, Web Wise, Writing with tags how to use wordpress, wordpress help, WordPress Tips, wordpress tutorials. Bookmark the permalink. Follow any comments here with the RSS feed for this post. Post a comment or leave a trackback: Trackback URL. Copyscape will match the content of the URL of your post or article with search engines information to find a match. 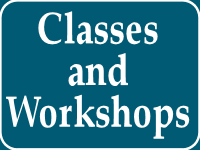 For the most part, it is very accurate and helpful in finding your work on other sites. Lorelle, what about other ways to find plagiarism? Copyscape works fine but currently they’re having technical problems. Have you tried Content-Cop.com? It’s been recently mentioned on my board but I never had a chance to check it out. There are many ways of searching for stolen content today. I’ve not tried the one you’ve mentioned. 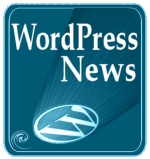 If you are using WordPress, you can also use the WordPress Plugins highlighted at the end of the article. The concept of a “digital fingerprint” in feeds and content helps the blogger search for their stolen or abused content faster and easier. Thanks for the prompt reply, Lorelle. You are writing about open source software, why not making your information available in a open format as well then? Using Creative Commons for example so you can allow people to re-use your information. The ‘All rights reserved’ system doesn’t work on the internet, I am sure you’re aware of this. I’m sure a lot of people will agree. We all have this reflex to protect our territory. But aren’t we basically attacking the whole basis of the internet? It all started without any copyright at all. Everyone copied everything. That was how it grew. If we’re looking to make money by our posts and webpages, that’s one thing. But if not, or if we really don’t make any money, is there any point in getting upset? Hey, I can’t persuade *anyone* to take much of an interest in much of what I do! — I’d welcome anyone who chose to mirror it! Ever written to publishers asking for permission to use some journal article on your site? Ten-to-one you get no reply, or an automatic refusal from some clerk who can’t even spell ‘internet’ and is merely saving themselves effort. Do we want to make creating content online laborious, strewn with lawyers and petty copyrights? No-one doubts the right of authors to make money and stop people pirating their stuff. But… most of us, surely, are not doing the former and have no rational reason to do the latter. I need help dont know who 2 turn 2 i have had my kitchen stolen and no one is helping me i got arressted for it i have a six year old daughter and my insurance company wont pay for anything i cant cook my daughter meals im a proffesional single working parent and im almost heading for a breekdown over this i have a solicitor but nothing seems to be happening the police are very arrogant towards me and have done nothing to investigate the person who i know has stolen my kitchen im the one who has been treated like the criminal not the victim. Can you help or point me in the right direction please. Thank you very kindly, Lorelle, for the feedback data on a posted article and question. When I noticed my work posted to another site under another name, I wondered why that would happen especially when the article is posted to more than one site with the authentic authors name attached. Albeit, the copied works did post the article source. I teach a Web Design class thru a Yahoo group. My biggest problem is getting the students to understand that the copyright and fair use laws pertain to them as well as the rest of the world. Many of them assume because what they do is a hobby the laws don’t apply to them. I’ve put your URL in my copyright page that I send out in my classes. Thank you, and if you need help, please let me know. Hearing the message from someone else might get the message across stronger. Be sure and check out What Do You Do When Someone Steals Your Content, and Jonathan Bailey’s fantastic articles, 5 Content Theft Myths and Why They Are False and The 6 Steps to Stop Content Theft. I have discovered one webmaster at “strange things a foot” on WordPress who seeds articles from other articles directories. He uses seeds of my articles in different pages, monetizes those pages by AdSense and directs traffic to those articles directories, but not a single link to my website. Is this enough to report him to Google? Depends upon the usage. If your copyright states no commercial use of your content even if it is Fair Use, then you have some grounds, though it probably wouldn’t hold up in a court of law. But if this person is using your content per Fair Use restrictions, then there isn’t much you can do. Make sure your copyright is clear on what you will or will not allow and then move accordingly. Yes, Copyscape is nice but it goes through phases and isn’t very reliable. I’ve heard rumors of a service that will alert you by email when your duplicate content is found. That should be interesting. Nice post. I’ve’ been wandering around jumping from one of your posts to the other, you are great. Keep it up! Hi Lorelle, I know this is an older post, but four years later it is still relevant and I’ve referred to it many times since I’ve been plagiarized (also many times). It’s tempting to name and shame when you’re angry, and difficult to fight the urge when friends and colleagues advocate the same thing, but I always err of the side of class and cautiousness because it is self-defeating otherwise. The main reason I wanted to leave this message is to thank you. Thank you for caring so much about your content and supporting the rest of us in our fight to stop others from reusing ours without permission. I’m fighting a huge company right now, and they acknowledge taking my content (it was undeniable) but say it is not plagiarism and not copyright infringement. Not only do they refuse to remove it, but they intend on continuing to use my website as a source against my will. They even had to nerve to ask me to cooperate in providing content. Eh? Aren’t I already doing that against my will? The world is made up of all kinds. Just trying to see where I stand with a campany using a photo of my property advertising their product on another site and not on their own site.Earlier this year I had sent a photo and did say to use it on their site , not on another . If the agreement was for a specific site, then you set the terms and they’ve possibly violated it. Contact them and remind them of the terms and make arrangements for new permissions or compensation accordingly. You will have to contact Google Adsense for assistance as I don’t understand the question. If the content on your site is not original, that could be reason enough for them to deny your account. See this article on content theft and copyright for more information. Sorry, I cannot help you, and never never never put your email address in a comment or public forum. Good luck with your issue.